The internal law of a member state of the European Union (EU) cannot impose that contracts of employment with an international element must be made only in the official language of a given country. Each person coming from a member state of the EU has the right to access gainful employment and to perform professional activity on a territory of another member state. There was a case related to Belgium, and to be more precise – to the decree of the Flemish Community, which includes all the people who speak Dutch – that is people who live mainly on the territory of Flanders (the northern region of Belgium) and in the Brussels-Capital Region. 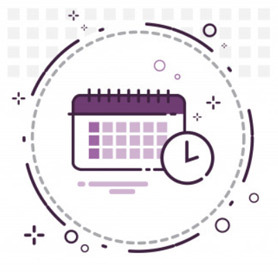 The abovementioned decree has imposed the obligation to use the Dutch language, in particular in the relation to preparing contracts of employment, concluded between employees and employers, whose business is located in a region, where the Dutch language is the official one. In turn, preparing a contract in a foreign language would mean that the contract is void, without prejudice for the employee or for the rights of third parties. Citizen of Belgium, A. Las, living in Belgium, was employed there as a chief financial officer by an international company, which had its headquarters in Singapore. The contract was written in English and the place of working was Belgium. After five years, the contract was dissolved and A. Las applied to the Belgian labour court claiming that the contract written in the English language violated decisions of the decree of the Flemish Community on the use of languages. The Belgian court, using the possibility of turning to the Court of Justice of the European Union with a prejudicial query, asked the Court of Justice whether the abovementioned decree of the Flemish Community on the use of languages violates the freedom of workers’ movement in the European Union to the extent, for which, under the threat of nullity stated by a court ex officio, it obligates each company, whose headquarters is located in the region, where Dutch is the official language, to prepare all documents related to employment in this language, when a company employs an employee in a post of trans-border character. As the Court of Justice noticed in the decision C-202/11 Anton Las vs. PSA Antwerp NV, not only an employee can invoke the rule of free movement. An employer can also do it. 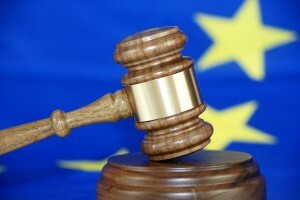 The Court of Justice of the European Union pointed out that legal regulation related to free movement of workers exists to facilitate preforming professional activities on the territory of the EU and it is an obstacle for any actions, which could place citizens of the European Union in a disadvantageous situation if they wanted to perform business activity on the territory of another member state. Besides, internal state law, which could hinder the performance of basic freedoms, guaranteed by the treaty or discourage someone from following the decisions of the treaty, can justify the limitation of free movement of workers if they are proportionate to realisation of objectives in the general sense and they do not go beyond what is necessary to achieving the goals. The official language of a country does not have to be known to the parties signing a contract of employment, which has international character. In such situation, free and conscious process of making an agreement between parties requires to make it possible to prepare the contract in a language, which is different than the official language of the member state of the EU. In this situation the parties should have the possibility of preparing the contract in another language – stated the Court of Justice. In Lithuania, as it results from the Act on the official language, office management, recording, and other documents of organisations that operate in Lithuania, including contracts of employment as well, should be prepared in the Lithuanian language. If a contract was concluded with a foreigner, he has the right to have it written also in the language which is accessible for him or her. In any case, a contract of employment in the official language should be signed first. In this matter it is worth to mention the letter of the former Minister of Education and Schooling of the Republic of Lithuania, Gintaras Steponavičius, who, in August 2011, sent to parents of children attending national minorities’ schools in Lithuania as many as 26 thousand letters in non-official languages (Polish, Russian and Belarusian), justifying the amendment to the Act on Education. On request made by the European Foundation of Human Rights, the National Language Commission declared that correspondence that has official character does not necessarily have to be written in the official language. A letter can be sent in, for instance, Polish, Russian, French or Japanese. There should exist a translation of the original latter, and the paper should be prepared in the official language (that is in Lithuanian). With this decision, it was stated that the Minister did not violate the law, since “it does not stand against the Act on the official language when papers prepared in other languages are only translations of an official document. The law of the Republic of Lithuania does not prohibit translating official documents into other languages.” (You can read more here: http://www.efhr.eu/2011/10/13/wniosek-do-panstwowej-inspekcji-jezykowej-z-prosba-o-pociagniecie-do-odpowiedzialnosci-administracyjnej-ministra-oswiaty-i-nauki-rl-gintarasa-steponaviciusa/). In relation to the decision of the Court of Justice of the European Union, there comes the conclusion that the Lithuanian law, ordering people to prepare contracts of employment of trans-border character only in the official language, is inconsistent with the law of the EU. According to the established way of making decisions, such internal regulations can hinder the performance of basic freedoms, guaranteed by the treaty or discourage someone from following the decisions of the treaty. Moreover, such regulations can be acceptable only on the condition that they serve the purpose of achieving a goal of common interest, that they are appropriate to guarantee the realisation of the goal, and they do not go beyond what is necessary to achieve it. The law of the EU related to free movement of workers exists to make it easier for EU citizens to preform professional activities on the territory of the EU and it is an obstacle for any actions, which could place citizens of the European Union in a disadvantageous situation if they wanted to perform business activity on the territory of another member state. And although in Lithuania a contract of employment prepared in a language, which is not the official one, would not make the contract void, the employer could be punished with a fine. Such legal regulation violates the right of free movement of workers, as it can disturb the use of basic freedoms guaranteed by the Treaty of Lisbon by citizens of the EU, or make it less attractive. Author: Wioleta Palonis, employee of the EFHR. The EFRH will provide everyone who gets punished by having a contract of employment concluded in a language different than the official one with free legal help.